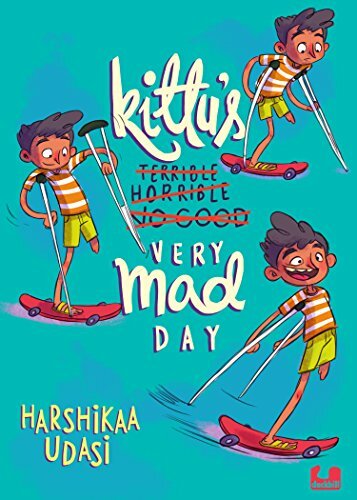 A review of Kittu's Very Mad Day, a story of an outspoken, one-legged young boy from Mumbai, who gets separated from his large boisterous family during a vacation, and is lost in Panna, Madhya Pradesh. 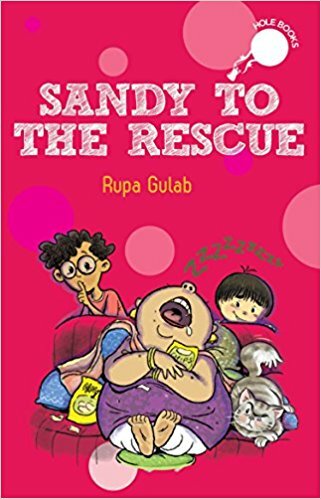 A review of Sandy To The Rescue, a story in which seven year old Sandy, and his six year old sidekick Aftab, take on the super villain day care owner/manager Mrs. Gupta. 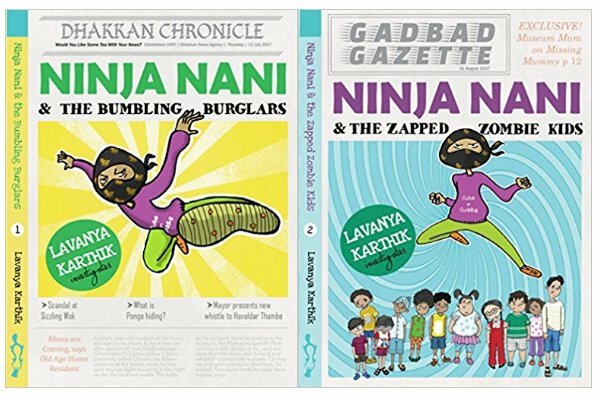 The Ninja Nani Series, by Lavanya Karthik is about a regular grandmother, who turns in to a strangely attired, crime fighting, ninja at night. She is assisted by her grandson, Deepu, in her crime fighting escapades. Read on for a detailed review. A grouchy old man moves in to a new neighbourhood. Why do the kids call him uncle Uh-Oh? Why is he so grumpy? The neighbourhood kids are determined to solve the mystery? Will they succeed? Read on to find out.